Lake Crescent Inn, Roberts Arm Newfoundland, welcomes you. Follow the above links, for more information or visit some of the neighbouring sites below to learn more about our area. 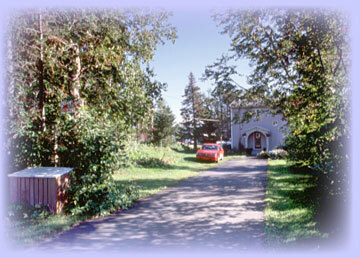 Bed & Breakfast - if you are seeking the best in private accommodations and breakfast dining in the central Nfld. area. This fabulous location in Roberts Arm is just a few minutes from the Trans Canada Highway. Lake Crescent Inn is a quiet lakeside retreat featuring privacy and traditional hospitality in pastoral surroundings. Local features including sports fishing, boat tours, whale watching, iceberg viewing, and three world class hiking trails, make this one of the islands premier travel destinations. Located in coastal central Nfld. at the midway point when travelling across the island. Free from fog year round, it borders the famous iceberg alley where huge 5,000 year old Greenland icebergs run aground. The easiest place to see them while traveling on the trans canada. Nfld. joined Canada in 1949 but still retains its island identity and unique culture staying close to its Irish & English roots. Local communities with names like Brighton & Triton are evidence of this. Drop by for an overnight rest while traveling across Nfld., you'll want to stay and explore. The Halls Bay area offers all of the traditional features that have made Nfld. famous. Many miles of rugged coastline, sheltered arms and tickles give way to rolling hills and a cover of decidious forest stretching inland for as far as the eye can see. The scenery alone is enough to make your visit worthwhile, the hospitality unequaled. With a rich history of fishing, mining and logging the local culture is vibrant and colorful. Your hostess Evelyn Warr, a long time resident will be your guide to where to go and what to see. Site Design Dimensional Medium © 2003 - 2009. All rights reserved. Photography by Dave Tilley, © Green Bay Tourism. Interior photos by Craig Clarke, © Emerald Zone Corporation.